Whether you enjoy sipping a smooth golden ale, something hoppy or a dark IPA, Jackson County’s breweries have you covered. North Carolina boasts more craft breweries and brewpubs than any other state in the southeast and Jackson County shares the state’s commitment to providing quality local brews. Head down to Sylva’s Historic Main Streets and stop into Innovation Brewing and Balsam Falls Brewing Co. to experience the flavors of Sylva’s thriving brewery scene. Along the way, there are great restaurants to grab a bite, antique shops and more. Click here to see a map of the Ale Trail! 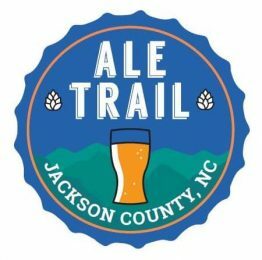 As the brewery scene in our communities continue to grow, plans call for an extension of the Ale Trail to include Nantahala Brewing, who will be adding a taproom in the heart of downtown Sylva this year; Innovation just recently opened a second location – Innovation Station in Dillsboro; and Whiteside Brewing Co. opened recently at the Cashiers Crossroads. Each craft brewery offers flights (samplings of many beers), pints, growlers and either have food on-site or allow you to bring your own. The brewery now has 32 brews on tap, a homemade ginger ale and three ciders. A seven-barrel brew house, Innovation has a handful of mainstay traditional ales as well as several IPAs and a number of seasonal and experimental beers for you to try on your brewery tour. “We like to push the envelope by creating fun and unique beer styles using non-traditional beer ingredients such as beets, cilantro, basil and cucumbers to name a few,” said Nicole Dexter, who owns the brewery with her husband Chip. In addition to brews, Innovation has a woodfired pizza kitchen on site and also a food truck serving up great burgers. The brewery is pet and family-friendly. Beer lovers will be able to savor even more Innovation creations when a second location dedicated to sour beers opens with an additional tasting room this summer. Innovation’s Pie Times Pizza Co. features woodfired sourdough pizza with many ingredients and toppings sourced locally. Specialities include Margherita, Spicy Italian, Sopressata, and a variety of White Pizzas. Open Wednesday – Sunday, 4pm-9pm and located directly beside Innovation Brewing. Balsam Falls Brewing features over a dozen beers on tap including a rotating selection of IPAs, pale ales and sours, along with six staple beers regularly on tap. Husband and wife partners in the brewery, Corey and Laurie Bryson, utilize fruits, herbs and even vegetables in their brewing treatments. “Our goal is to have something different on tap every time visitors come in, and we will focus on seasonal pints based on local ingredients,” says Corey. His family grows blueberry bushes, apple trees, cherry trees and grapevines, and those flavors are instilled into the beer. The Brysons even grow several of their own hops that are used in their brews. COMING SOON – Nantahala Brewing will open a Downtown Sylva taproom in 2019. Dillsboro’s first brewery opened its doors in late June with Innovation Brewing’s second Jackson County location. With 32 taps, they have a number of mainstays from their Sylva location and have an expanded sour program which allows them to offer more sours at both locations. The new brewing house, located in a former train depot, serves as a beer aging and pilot batch facility. The brewery is kid and pet-friendly, open seven days a week, and will have both covered and open outdoor seating. Cashiers is also home to Sapphire Mountain Brewing Company’s taproom. A tip to enjoy Jackson County’s Brews: List and rank the beers by appearance, aroma and taste, during your brewery tour, and try a beer that appeals to those senses.